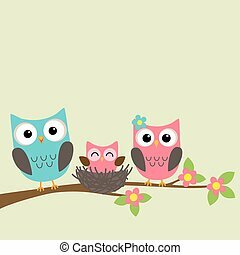 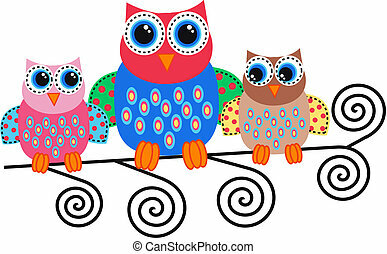 Cartoon owls. 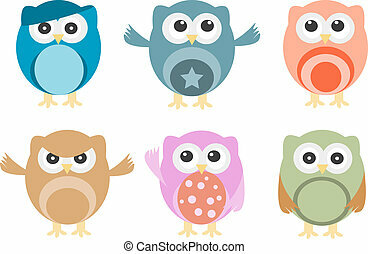 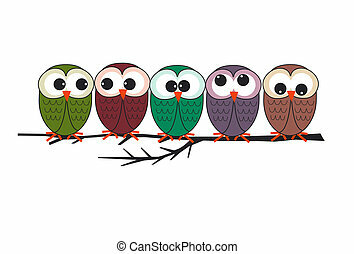 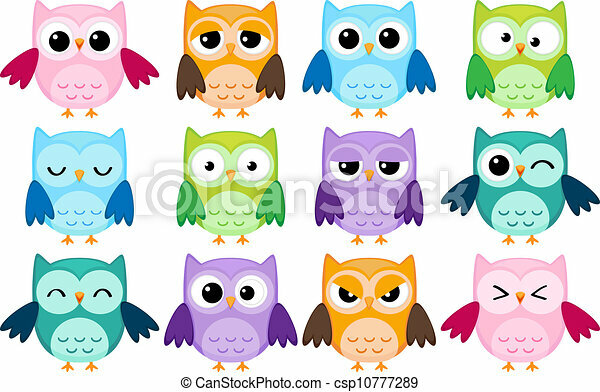 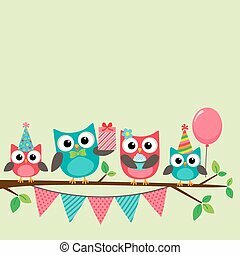 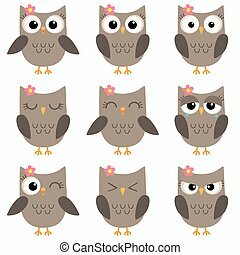 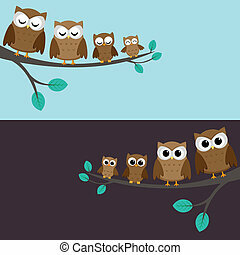 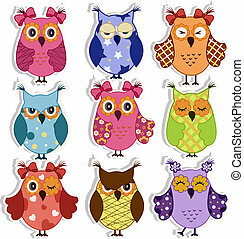 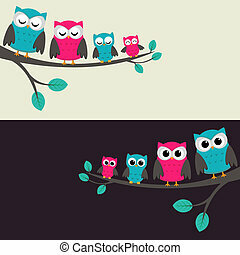 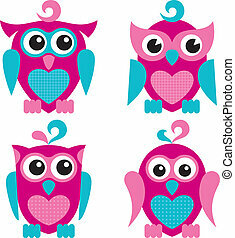 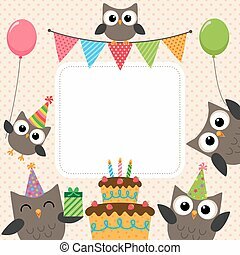 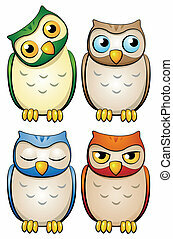 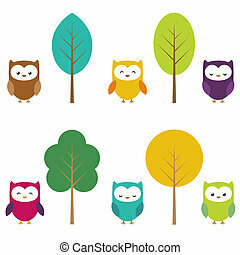 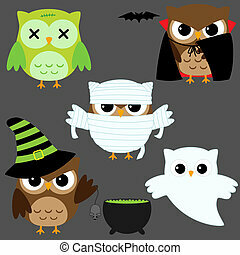 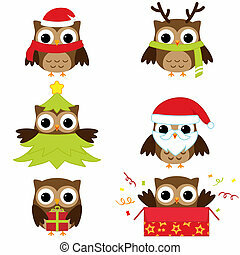 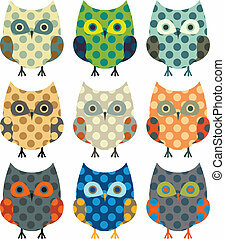 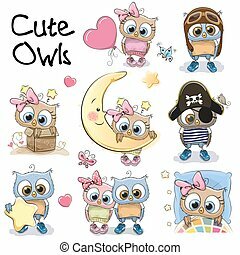 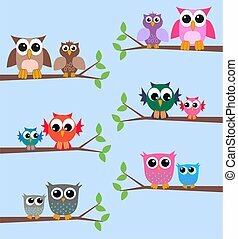 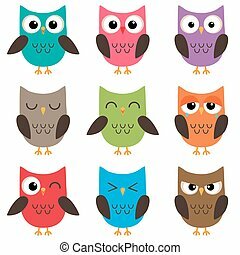 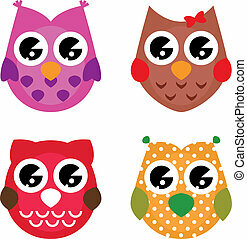 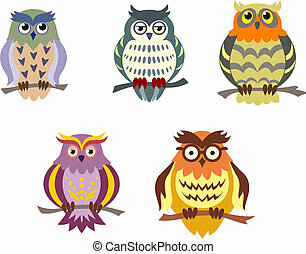 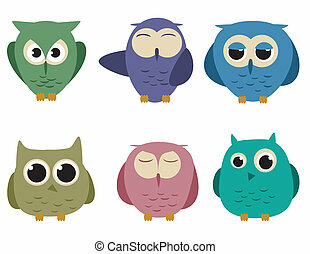 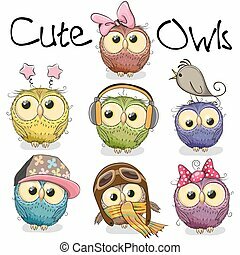 Set of 12 cartoon owls with various emotions. 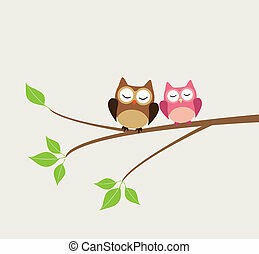 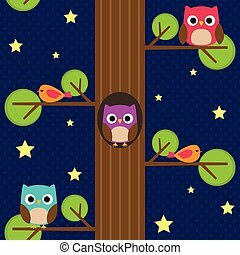 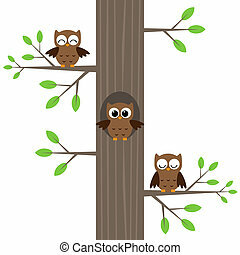 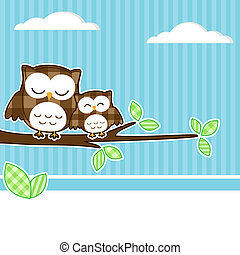 Card with two owls on branch with textile background.